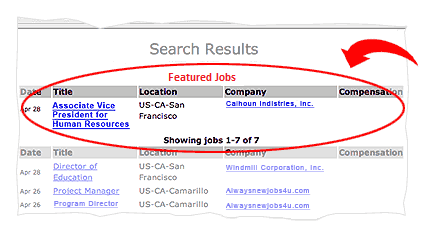 Featured Jobs are listed at the top of the search results in the special featured section, in bold, and in our mailing list giving your job advertisement great exposure to job-seekers. Click to see multiple month discounts. Super Featured Jobs have all the benefits of the Featured Jobs plus they are listed under every state and in the special work from home section. Click to see multiple month discounts.